Better late than never! 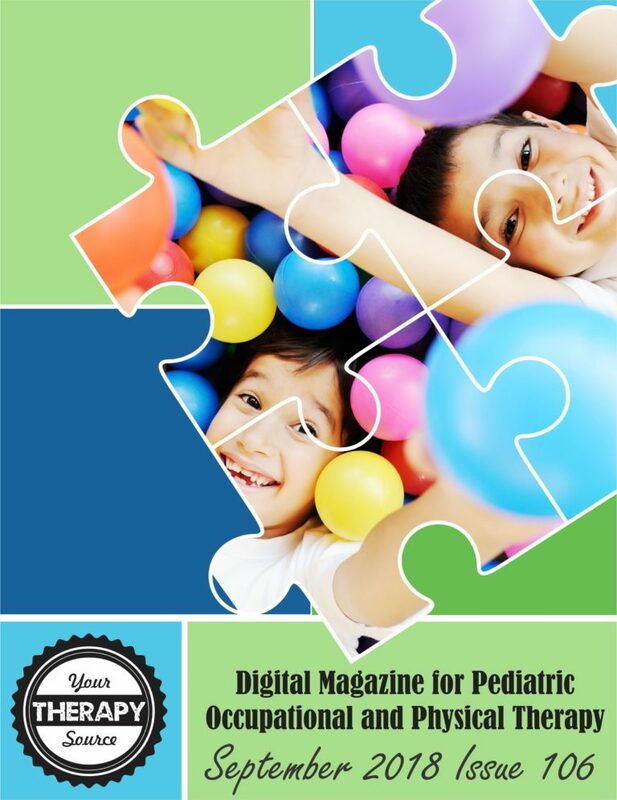 The September 2018 Digital Magazine for Occupational and Physical Therapy has been posted. EXTENDED TIME FOR TESTS – WHAT DOES THE RESEARCH SAY? WILL MY CHILD WITH CEREBRAL PALSY RUN? How to Prevent Sensory Overload at School What is Working Memory and Hemispheric Integration?